THE Province says seniors in Burnaby are benefiting from a nearly $4-million investment in 2018-19 to increase staffing levels and ensure seniors get the care they need in residential care homes. This initial investment starts year one of a three-year plan to increase the direct care seniors receive in residential care homes in Burnaby and around the province, to reach the target 3.36 care hours per-resident day, on average across health authorities, by 2021. 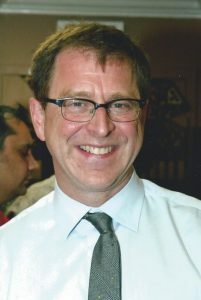 “Throughout the province, residential care homes have been waiting a long time for the help that they need to improve care for people,” said Adrian Dix, Minister of Health. “For more than 10 years, the goal of improving care hours to the 3.36 standard had not been achieved. I am proud that under the plan that Premier John Horgan announced in 2018, our government is taking the necessary step to realize this target. More direct care hours mean seniors will receive more day-to-day care and staff will have the support they need. The nearly $4-million investment in care hours for Burnaby is part of the $48.4 million being allocated to health authorities in 2018-19 to fund over one million more hours of direct care throughout the province. This increased funding for residential care is the first allocation in the three-year investment of $240 million to increase direct care seniors receive to 3.36 hours per-resident day average by health authority, announced in September 2018. In 2016, the average direct care hours in British Columbia were 3.11 hours per-resident day. In the nine homes that have received funding in Burnaby, approximately 45,000 additional direct-care hours were provided by the end of September 2018. * Dramatically increasing the volume of MRIs in Fraser Health. Over 8,500 more scans are being performed this fiscal, increasing scans to 63,000. The two MRI clinics purchased by the government will add 10,000 scans to the region next fiscal year. * The Burnaby Hospital MRI running 24 hours a day, seven days a week, which is an additional 75.5 hours per week. This increase in operating time is the largest increase in MRI operating hours in the province since Aug. 1, 2017. * Establishing the Fraser Health Hip and Knee program at Burnaby Hospital to increase the volume of hip and knee replacements in the region by 23% this fiscal year. * Expanding the day programs for older adults across Fraser Health with 369 new spaces weekly, including new weekend spots, to provide caregivers with increased support and flexibility when their loved one receives care. * Residential care homes offer seniors 24-hour professional supervision and care in a safe and secure environment. * Health-care assistants are frontline care providers who work in a variety of institutional and community settings, including home support agencies and residential care homes. * In April 2018, the ministries of Health and Advanced Education, Skills and Training announced approximately $3.3 million to create new health-care assistant seats in 11 post-secondary institutions throughout British Columbia to increase staffing levels in residential care homes and community care sectors. * Approximately 50% of health-care assistants in B.C. are part time or casual. * Through the $240-million investment over three years, the average direct care hours in B.C. will increase from 3.11 per-resident day in 2016 to 3.24 by 2019, and will reach 3.36 by 2021. * Progress has been made, with almost 270,000 more care hours now being provided by converting part-time and casual staff to full time. * New funding of $48.4 million in 2018 will add more than one million hours of direct care.